Onstage This Week: Ballet Austin's "Grimm Tales," World Premieres at SFB and Royal Winnipeg, and More! Natalie Frank's drawings show another side of the Brothers Grimm's stories in Ballet Austin's new work. Michael Thad Carter, Courtesy Ballet Austin. In Ballet Austin's Grimm Tales, debuting March 29–31, artistic director Stephen Mills dives into the dark, uncensored side of three of the world's best-loved fairy tales: "Snow White," "The Frog King" and "The Juniper Tree." Mills' ballet is inspired by visual artist Natalie Frank's vividly colored drawings, which focus on the feminist interpretations of Jacob and Wilhelm Grimm's infamous stories. The ballet will feature new artwork by Frank and music by composer Graham Reynolds. 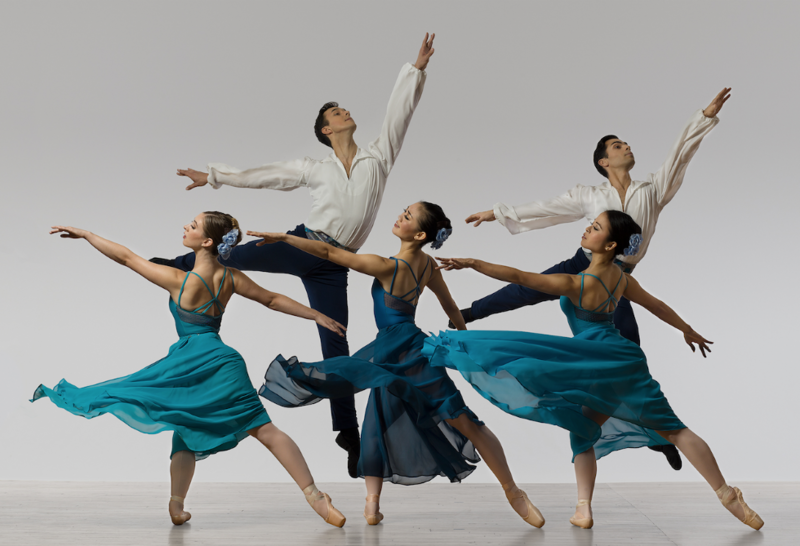 San Francisco Ballet's spring season continues this week with two new programs. The first is Lyric Voices, opening March 27 and featuring three contemporary works: Trey McIntyre's Your Flesh Shall Be a Great Poem, Christopher Wheeldon's Bound To and the world premiere of SFB choreographer in residence Yuri Possokhov's "...two united in a single soul..." to music by Handel and Daria Novo. Space Between opens March 29. The sixth of SFB's eight programs, it offers Justin Peck's Rodeo: Four Dance Episodes, Arthur Pita's Björk Ballet and a world premiere by British choreographer Liam Scarlett titled Die Toteninsel. Canadian roots-rock band the Bros. Landreth joins forces with choreographer Philippe Larouche to present a world premiere for Royal Winnipeg Ballet titled Next of Kin. The work, part of the company's Ballet & The Band program running March 28-30, looks at the intergenerational impact of addiction and will feature English to ASL translation. Also on the program are Jera Wolfe's Bare and Mark Godden's Miroirs. From March 28-31, Kansas City Ballet presents New Moves, its intimate annual choreography showcase. This year, KCB is showing works by six choreographers: company dancers James Kirby Rogers, Emily Mistretta and Courtney Nitting, local choreographers Gary Abbott and Haley Kostas, and Pacific Northwest Ballet soloist Price Suddarth. KCB's Second Company will open the performance in a work by choreographer Ryan Jolicoeur-Nye. Minneapolis-based James Sewell Ballet brings two world premieres to the stage March 29-30 as part of the company's Fresh Take program. Body Beats, choreographed by Sewell, is a collaboration with local composer Martin Dosh. The two artists built their new work around ideas of improvisation, neurological and physical impulses and boxing. Also on the bill is New York City-based choreographer Gabrielle Lamb's Thaw, a reflection on Minneapolis' cold winters. Sewell selected Lamb out of over 50 choreographers who responded to a nationwide call to create a new work. Texas Ballet Theater's mixed bill, running March 29-31, showcases four works by artistic director Ben Stevenson. First up is Four Last Songs set to Richard Strauss' masterpiece of the same name; next is Twilight & Esmeralda, two romantic pas de deux set one right after each other; the final work is L, a jazzy tribute to Liza Minnelli. Catch a glimpse of L in the above video. Richmond Ballet's Studio Two program brings two very different works to the stage March 26-31. The first is Tom Mattingly's Figure in the Distance to music by Philip Glass. Mattingly first created the work for Richmond Ballet's New Works Festival last season. Second on the program is José Limón's famous The Moor's Pavane, set to a score by Henry Purcell. New Jersey-based American Repertory Ballet presents American Made at the Kaye Playhouse in New York City for one night only on March 30 . This triple bill features Kirk Peterson's Tears of the Moon, ARB resident choreographer Mary Barton's Trois Voix (three voices) and Paul Taylor's celebrated Airs.